Sony is one of the traditional and most recognized TV brand in Kenya as it represents quality and superior performance. As of 2018, it was ranked the best television in the world, outranking competitors such as Samsung, LG, Hisense and TCL. There is a saying that ‘whoever buys a Sony TV has truly bought a television’. Even though many people still consider Sony TV prices in Kenya as expensive and only for the rich, this is not the case when you factor in its lifespan, quality and superior performance. The TV is manufactured by Sony, a Japanese electronics company headquartered in Tokyo. 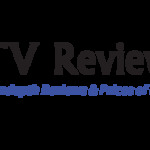 It is a global brand in TV production, dominating the TV industry in the 80s and 90s. This TV is not only genuine, original and long lasting, but also use proprietary technology that gives it superior performance when compared to other TV brands. For anyone who does not want to spend time reviewing different TV brands, settling for this TV is the best bet you can take as they have better quality and tend to outlast other TV brands in shelf life. In fact, the Bravia TV model, which came to market in 2005 is considered the best selling TV in the world to date. 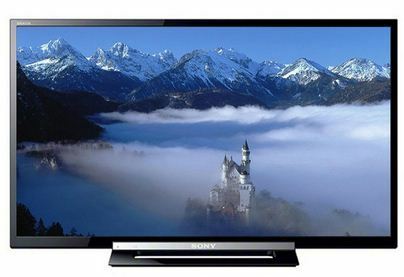 It is important to buy your Sony TV in Kenya from accredited TV sellers due to rise of counterfeit TVs. In Kenya Sony is headquartered in Nairobi along Kenyatta Avenue. There are several Sony service centers in Nairobi and major towns across the country. The TV uses WXGA display technology that generates razor sharp and clear images. They also generate best HD images and pictures. In addition, they use Motionflow™ XR technology, a revolutionary technology that reduces motion blur. This makes this the perfect television for watching fast moving entertainment like sports and action movies. Even the cheaper models are great in upscaling low resolution content, making for great TV viewing experience. We all know that Sony is a leading brand when it comes to home heather systems and sound system players. The TV's sound is powered by Dolby Digital Plus sound system which ensures quality sound free from digital noise. Additionally, they have Clear phase speakers that provide balance and high-quality sound system. The TV supports different media devices. They have USB ports, HDMI ports, terrestrial cable ports, Video and audio ports. Some also come with VGA cable ports that enables you use your TV screen as computer monitor. They also have PVR functions that allow you to record your favorite TV shows. Sony has a range of smart TVs that run on the famous Android platform. You can connect the TV to the internet via internet ports or Wi-Fi access. The Smart TV have inbuilt apps and steaming servings to allow you to stream your favorite shows. A TV with model name 32W600D means the following. It is a 32 inch TV, it is in the W600 series and was manufactured in 2016. if it is model name is KDL32W600D, it means that it is a cheaper model. Many TV buyers usually want to compare Sony with their rival Samsung and LG. In terms of number of TV models, it has fewer TV models than LG and Samsung. In terms of picture quality, it has generally have more shelf life than LG and Samsung. For picture quality, higher end LG and Samsung models compete on equal foot with Sony TVs. In terms of Sony TV prices in Kenya, 32 inch TV prices are slightly expensive than both 32 inch LG TV and 32 inch Samsung TV. As a rule of thumb, buying a Sony TV in Kenya is a safe bet. However, if you are looking for a high end TV, the Bravia TV comes recommended.